Eighteenth-century Neapolitan staircases present a shift from the traditional, monumental Baroque palace stairs towards the staircase that is serving four, five or more levels of apartments of different social standing. While prefiguring stairs in modern apartment buildings, they solve issues of aristocratic etiquette as well as practical plan arrangements. They are showpiece and utility in one. At times grand and imposing, at times cramped in tapered courtyards, these staircases are numerous and disparate in form. 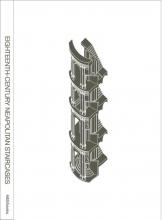 This book documents seven of them, by Neapolitan architects such as Ferdinando Sanfelice. It is the outcome of a master seminar in Architectural History at the Department of Architecture and Urban Planning of Ghent University.